Dr. McCormack Featured in NewBeauty Magazine’s Fall-Winter 2016 Issue! We are happy to announce that our Reno plastic surgeon—Dr. 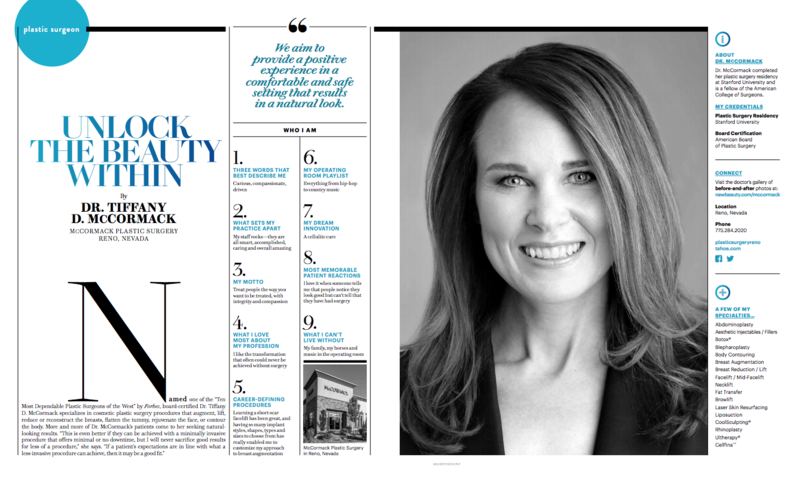 Tiffany McCormack—is featured in the 2016 Fall-Winter issue of NewBeauty® magazine! In an article titled, “Unlock the Beauty Within,” Dr. McCormack reveals a bit about herself both inside and outside the office. Be sure to pick up a copy of NewBeauty® magazine to check it out!